sabled person to board and get off. A Wheelchair Accessible Vehicle (WAV) is a vehicle that has been converted from a normal car so that it can be used by the wheelchair user. 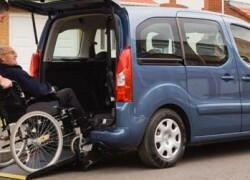 Family members, carers, or even the wheelchair bound individuals themselves can drive mobility cars. Mobility cars, in this way are also very useful for mobility scooter users. All mobility cars will by nature provide safety and security when boarding or alighting a vehicle. There’s also the option to stow the wheelchair while you move to a different seat. There are numerous alterations you can make to a mobility car that enable easier use especially for those wheelchair users who wish to continue driving. Electronic accelerators are useful for those who have limited flexibility in their legs and ankles. Instead of pushing the pedal down you will rather press a ring above or below the steering wheel that triggers a mechanism. Electronic accelerators are far easier to use than push and pull handle controls as they require less physical effort. Those who are suffering from joint problems with their right leg, ankle or foot may additionally opt for having a left pedal accelerator. Instead of controlling your speed with your right foot, you will now use the left. The pedal that was in place for the right foot is taken away so there are no potential problems. 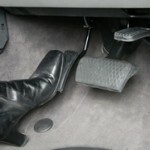 If you do choose to have a left pedal accelerator and have never driven a car with one before, you must seek professional advice. Those whose feet struggle to reach the pedals can choose to have pedal extensions put in place. This will bring them closer to you and the seat meaning you can sit comfortably and accelerate and brake without difficulty. Push and pull devices are an excellent adaptation for those who simply find normal pedals difficult to manage. In this way you control the car by pushing or pulling a lever. Pulling will accelerate and pushing will brake. There are a variety of different mechanical hand controls available on the market today from a wide range of manufacturers. Those suffering from limited mobility in the upper areas of their body could do well with remote controls. These controls permit simple functions in a vehicle such as beeping the horn, turning headlights on/off and using the screen wipers. 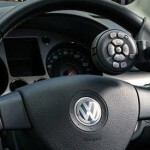 The control pad is fixed to the steering wheel making it easy and safe to use whilst driving. 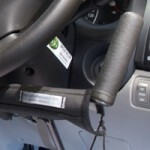 The are numerous other adaptations you can make for easing your driving experience. Those who find it difficult to continuously hold the steering wheel can opt for steering wheel balls to be fitted. By holding the ball, you simply use it to turn the wheel. Hand controls are often required when having a steering wheel ball fitted so you can steer with one hand and use the controls with your other hand.